What better way to start the new year than at one of the best spas in the world? With a new year comes New Year Resolutions, and there are few better than those that help you rejuvenate your mind, body and soul. We’re big fans of spa and wellness breaks as they are not only restful but restorative. In today’s fast paced world we all could benefit from some well-deserved peace and serenity, but where to go? The world is a big place and there are a huge array of spas and wellness treatment centres for you to choose from. To help kickstart a new you and assist you with your search for the best wellness experiences the world has to offer, we have highlighted seven of the best spas in the world. Each is unique but what they all share is an opportunity for you to indulge yourself and revive your spark and vitality. Perhaps you’ll even discover a new sense of self. Finland is the home of the sauna. In days gone by, these hot houses were the most practical place to wash during Finland’s long winters when there was no hot running water. A huge part of the national culture, Finns believe saunas to be not so much a luxury but a necessity – a place to relax and spend time with loved ones. To blend in with the locals, be sure to visit the spa on a Saturday, as this is the traditional day for many to go for a session in the sauna. Finland has more than 45 spa resorts and centres, and has enjoyed something of a renaissance as a wellness destination. Naantali Spa has a long history and is the only Nordic spa to appear in the Royal Spas of Europe, a group of European spas and health resorts rich in tradition. Its sauna and pool paradise is at the centre of the spa, with four Finnish saunas and an aromatic Turkish sauna to relax in. There are also several pools to cool off in at the spa before exploring the wonders of the town of Naantali, and its historic, maritime links. 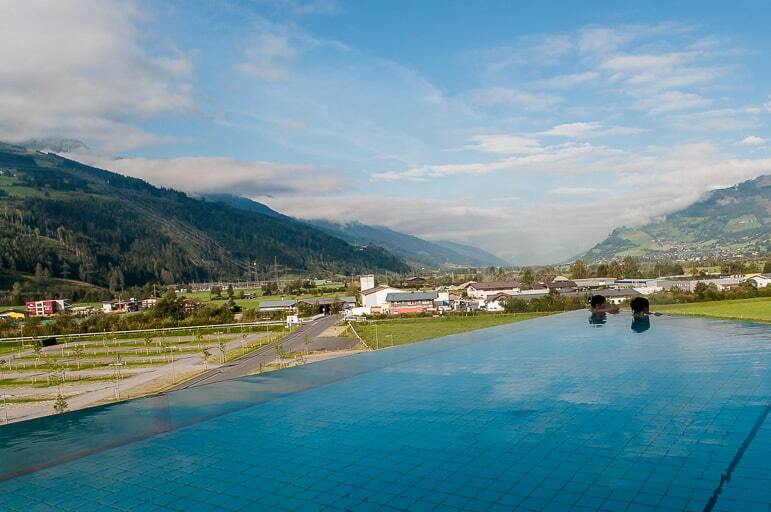 Spa and wellness are second nature in Austria and the luxury Tauern Spa Hotel in Kaprun, near Zell-Am-See in Salzburgerland, combines the natural environment with a unique menu of treatments. An oasis for peace and serenity, the alpine setting and views of one of Austria’s largest glaciers help to balance the mind while the extensive spa facilities – including a rooftop outdoor/indoor pool, saunas and steam rooms in the hotel alone – are considered the ‘base camp for body and soul’. And it’s no wonder, Tauern Spa World right next door has infra-red cabins, solariums, 12 different pools and 13 sauna and steam rooms. 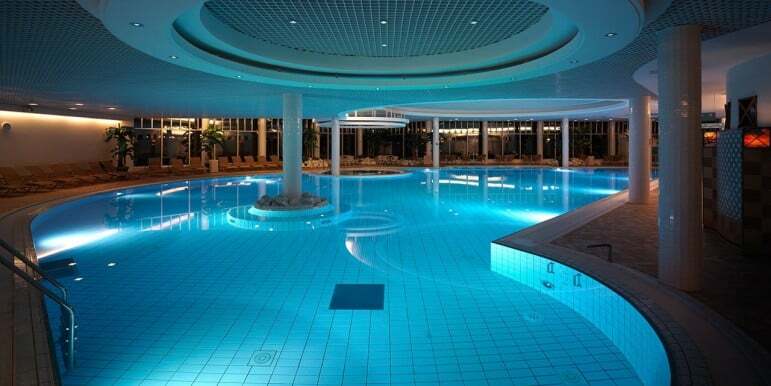 Read more about the Tauern Spa Hotel experience to discover the full wellness factor. Thermae Bath Spa features Britain’s only naturally warm and mineral rich waters, allowing you to bathe just like the Romans did more than 2,000 years ago. Bath is one of the most historic spa destinations in the country – don’t miss its original Roman baths for an evocative journey back in time. While the city is also one of the most popular historic cities in the country, celebrated for its Georgian architecture, Abbey, Pulteney Bridge and more. However, the contemporary Thermae Bath Spa not only revels in this history, but it also has excellent features for modern day spa-goers. Its rooftop bath is a great place to start. Unwind while observing Bath’s cityscape, by day or night. The Minerva Bath, named after the Roman goddess of health and wisdom, is the largest of the thermal baths and features grand columns and curved colonnades as an ode to its ancient past. 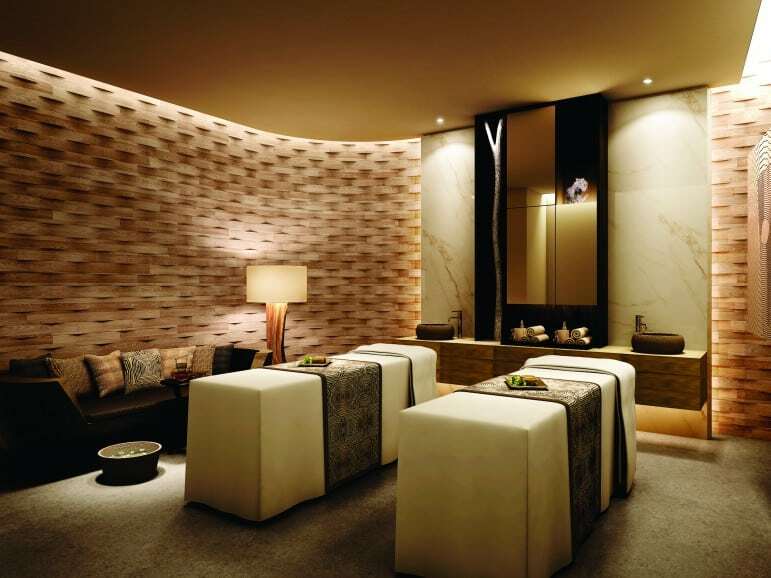 The aroma steam rooms awaken your senses, while the spa treatment menu is dedicated to relieving the body and mind. An island of two halves with non-stop parties contrasting with chilled out vibes; Ibiza’s northern coast is an idyllic setting for embracing peace of mind. A yoga retreat will certainly bring on a sense of calm. The Boutique Yoga and Detox Weekender by Ibiza Retreats is the ideal choice if you are short on time and are looking for a long weekend in a luxury resort. Designed to give your mind and body a break, the beautiful island surroundings will work its magic and re-balance you ready for whatever life brings in the year ahead. Mauritius has recently launched an array of new spa experiences drawn from the island’s heritage and is proving one of the best spa destinations in the world for a little serenity. Shanti Maurice’s seven-night stress management programme is tailored for those looking to escape everyday life. Spa-goers are provided with a personalised plan to optimise the experience, with an on-going lifestyle recommendation so you can feel the effects long after you return home. 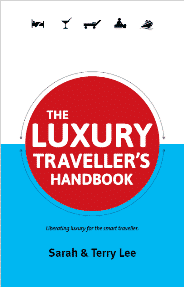 Shangri-La Le Tousserok Resort & Spa is also worth considering for a comprehensive treatment programme. With eight new Ayurvedic treatment rooms, the menu includes two sunrise yoga sessions, breathing and meditation classes held on Ilot Mangenie – the resort’s private island. The Caribbean has long been associated with laidback cool. 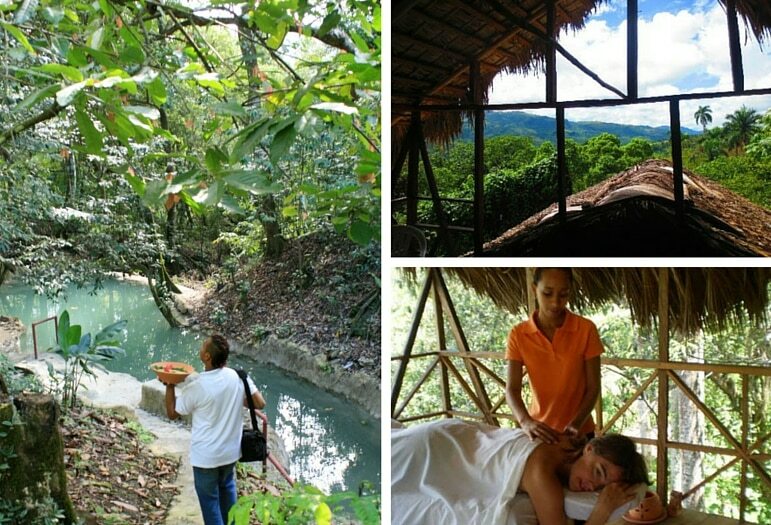 Venture inland from the beach resorts of the Dominican Republic, and you will discover a whole new level of tranquillity at Jasmine Spa and Wellness Centre in the mountains of Puerto Plata. One of the world’s best spa destinations for its natural surroundings – it is nestled within 40 acres of rainforest – the wellness centre provides a welcoming retreat. Listening to the call of birds, the rustling of leaves and the rushing of waterfalls, you will be eased into a very chilled out state. Book a full day spa with a massage and mud treatment to renew your body, and the spa resort’s delicious five-course organic lunch will refresh and refuel you ready for more pampering. Pure heaven! 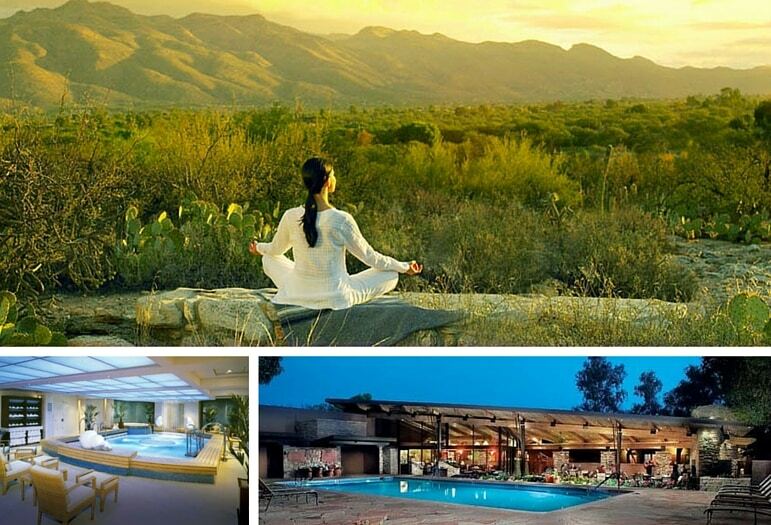 Eleven times winner of Condé Nast Traveler’s Best Destination Spa Award, serious wellness fanatics will love Canyon Ranch in the stunning Sonoran Desert of Tucson, southern Arizona. Once a working cattle ranch, spa guests have access to 150 acres of grounds in which to relax, hike and bike during their healing holiday. Lunch and learn sessions offer up advice on healthy eating while the underwater treadmills are a unique fitness feature. Designed for those looking to make serious changes in their life including weight loss, spirituality and stress management, Canyon Ranch has world-class experts and facilities, so it won’t be long before you’re well on your journey to healthy living and eating. If you have had a spa destination experience to remember, tell us all about it and add a comment below. I love the Bath spa, and I’ve also been to Le Touessrok though before it became the Shangri-La so would love to see how that has changed! If I HAD to choose, it would be a close call between Finland and the Jasmine Spa and Wellness Centre in Dominican Republic. Trust me to be torn between 2 such contrasting destinations!